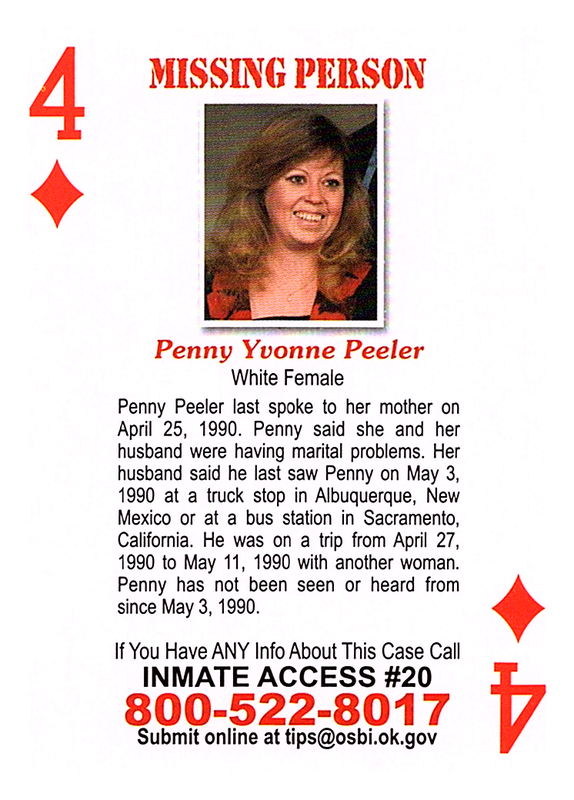 Penny Peeler last spoke to her mother on April 25, 1990. Penny said she and her husband were having marital problems. Her husband said he last saw Penny on May 3, 1990, at a truck stop in Albuquerque, New Mexico or at a bus station in Sacramento, California. He was on a trip from April 27, 1990, to May 11, 1990, with another woman. Penny has not been seen or heard from since May 3, 1990.